Hello all! Autumn has kicked in here in Connemara ,The mountain ash berries are now crimson and it seems to me that the ferns have died early this year . The bog vegetation has turned the most beautiful sienna hue and when the sun sits low in the evening sky the landscape is ablaze in the most magnificent autumnal colours. 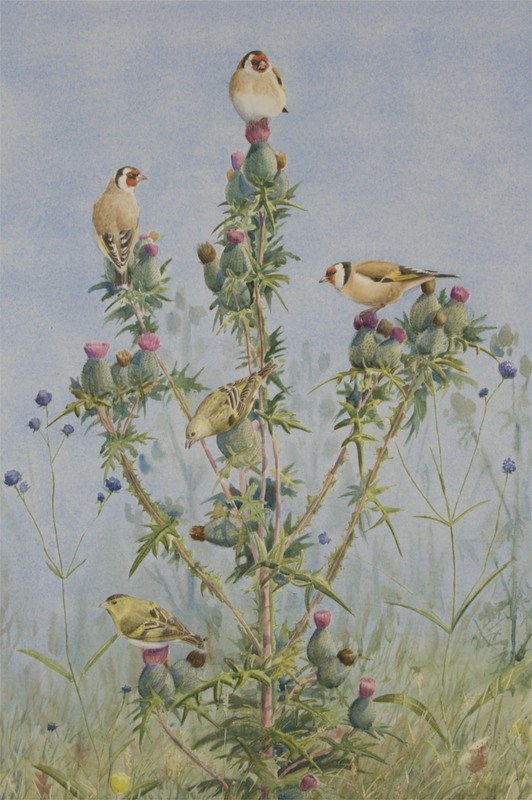 I have just completed a large work of a flock of finches on a thistle plant. 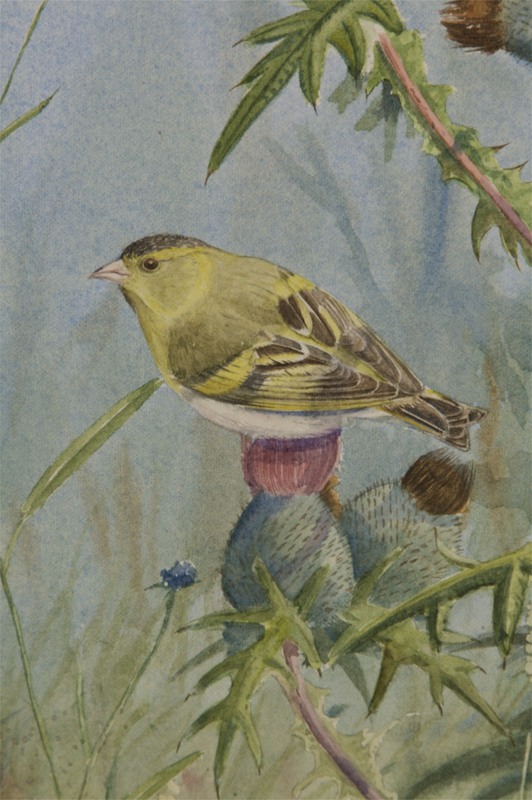 There are three goldfinches and two siskins in this picture. The plant they have alighted on has not yet produced its seed but they know that they won’t be long ripening. I have decided to title the picture “Seedless Sojourn”. 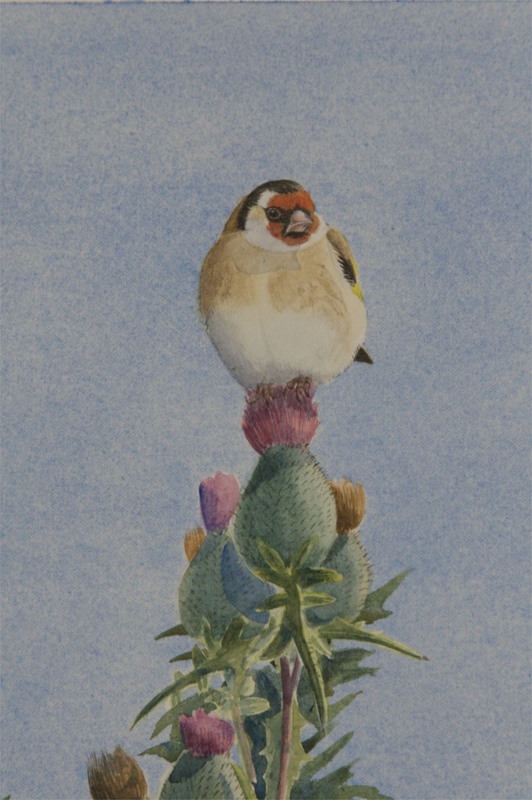 The image size is 460 mm x 650 mm.I will hopefully have it framed next week.The framed work will have a costing of 1100 euro.The following images show some of the detail of the work.I don’t care if I ever should see a thistle again! 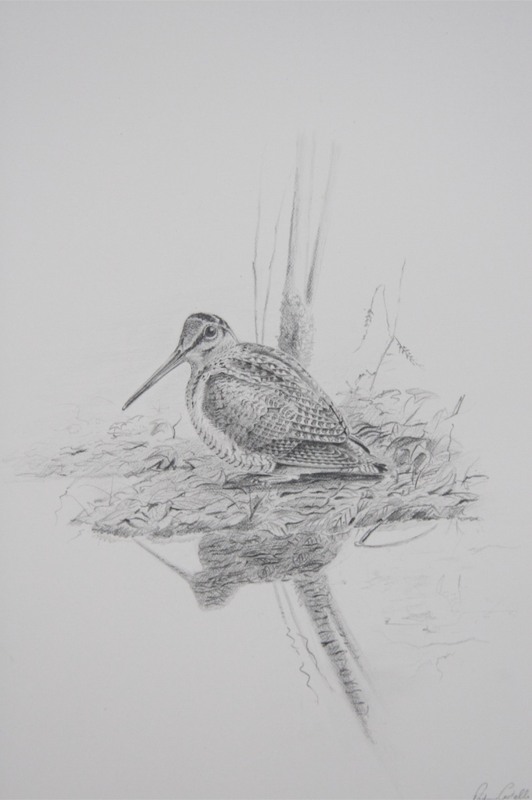 I have also completed a pencil sketch of a woodcock resting beside a pool of water under the hazel canopy. This is a study for a large woodcock painting that I’ve been keen to do for a while. The first arrivals of woodcock are probably here already but the main influx will be following the first full moon of November . 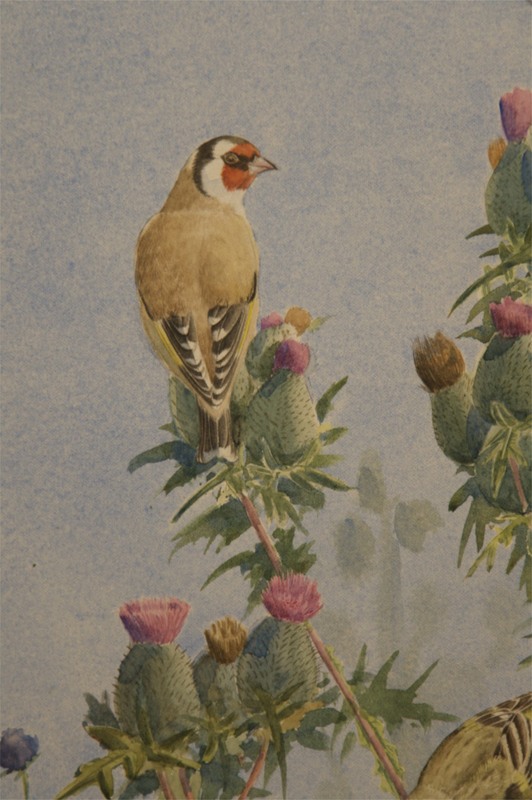 It therefore seems fitting that my thoughts should be on this secretive bird at this time. This pencil sketch measures 200 mm x 210 mm and framed costs 180 euro. I am currently working on some trout and other fish images for the big fly fair in Galway which will be held in mid November. (Details in “Exhibitions” in the menu bar at the top of the page.) I am quite excited about these paintings as they are quite loose and I am trying to let the paints mix on the page instead of the palette.